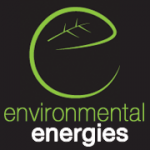 Local Award winning Renewable Energy Company offering Biomass, Mitsubishi ASHP, Solar PV and Solar Thermal Solutions. We are an all woman renewable energy team operating in the North East, Yorkshire and Cumbria areas. Supply and fitof Solar PV. South facing roof, Pitched and tiled, no shading. 3kw + system. Timescale within 3 months. Contact anytime. Repair of Solar Thermal pump. Asap. Contact: anytime. Roof: South facing. Pitched and tiled. No shading. No windows on the roof. Install within 3 months. Contact between 12pm and 5pm. Service of 3.25kWt solar pv system. Check installation between inverter and generation meter is working efficiently. ASAP. Contact: anytime. Roof: West. Pitched and slate. No shading. No windows. Open to advice on the size of the system needed. Install within 3 months. Contact between 5pm - 8pm. Current system size: 2kw. Pump not working. Repaired ASAP. Contact anytime. Moved into property with solar hot water heating, just need a service please. Solar PV: South Facing Roof. pitched and tiled. No shading. Timescale ASAP. Contact anytime. Solar PV. cost for east / west roof panels. Pitched and tiled roof. No shading. Timesale 1 month. Contact anytime. Appointments flexible. Solar PV . Roof: south facing. Pitch and tiled. No shading . No windows on roof . Maximum size. Install ASAP. Contact: anytime Appointments: evenings. Unsure on Panel Type. I\'d seek your advice.